THE Kinneil Foreshore is now officially a local nature reserve. The move aims to give greater protection to the site and also potentially attract new funding to the area. Approval, by Falkirk Council, came after Scottish Natural Heritage (SNH) indicated their support. The new reserve – to be called “Kinneil Nature Reserve” stretches from Bo’ness Harbour in the east to Snab Lane in the west. A large part of the site was once dominated by the former Kinneil Colliery, and local industry – now all gone. The site is significant as it is now home to a wide range of plants and species. The mudflats and “island” off the site are internationally important for seabirds and are already designated as a Special Protection Area for their conservation value. Councillor Adrian Mahoney, Falkirk Council’s convener of Leisure, Tourism and Community, welcomed the new status for the Kinneil foreshore. “This year marks the 30th anniversary of the closure of Kinneil Colliery – the last pit in the area, which once dominated the local foreshore. The closure of the pit and the dismantling of buildings in 1983 was a terrible blow for the local community, with the resulting loss of jobs and investment in the local economy. “But out of a bad situation came an opportunity to create a new space for local people and visitors to enjoy. Thirty years on, there’s very little trace of the mine-workings, apart from a cap on the pit shaft. The site has been transformed with trees and shrubs and become a haven for local and visiting wildlife. Councillor Mahoney said he was particularly pleased to see new signage installed at Kinneil Halt – a stopping off point for the Bo’ness and Kinneil Railway, which attracts between 60,000 and 70,000 visitors a year. The line goes right through the nature reserve and connects Bo’ness with Manuel, just off the Edinburgh-Glasgow main rail line. “Many people used to go through Kinneil Halt and not get off the visiting steam trains,” said Cllr Mahoney. “The new signage will hopefully tempt people to visit the new Nature Reserve – or take the short walk to Kinneil Estate, which boasts the wonderful Kinneil House and Museum. Throughout the 19th and most of the 20th centuries much of the area was used by heavy industry but all the building and structures associated with the former colliery are now gone. The area is now a public open space of grassland, wildflower meadows and woodland, with a good network of paths already in place. 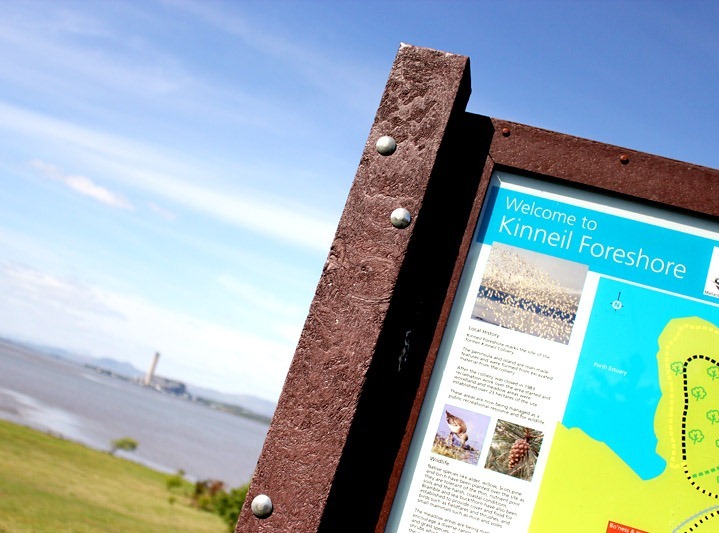 A steering group, involving members of The Friends of Kinneil charity, has already organised a number of projects along the foreshore including litter picks, woodland management and clearing scrub. It has also worked with Falkirk Council staff to improve the linkages between the foreshore and Kinneil House and Estate and to improve car parking. New direction signs have been installed between Kinneil Halt and Kinneil Estate. Plans for the future include footpath creation and management, wildflower meadow management and thinning of the woodlands. Information boards describing the industrial heritage and wildlife of the area will also be installed. THE FALKIRK Greenspace initiative – which included work to improve the Kinneil Foreshore in Bo’ness – has won the overall winner’s trophy in the Scottish Awards for Quality in Planning. The project has comprehensively improved the landscape and recreational use of the green belt and urban fringes of the Falkirk Council area. Falkirk Council worked closely with Central Scotland Forest Trust, local businesses and the community to deliver the project. THE Bo’ness and Kinneil Railway – run by the Scottish Railway Preservation Society – has a new website. Visit http://www.bkrailway.co.uk/ You’ll also find a link on the right hand page of this website under “Useful links”. The Railway – which attracts aroung 60,000 to 70,000 people to the area each year – makes regular stops at Kinneil Foreshore, allowing visitors to get off the train and explore the local coastline – or head up for the short walk to Kinneil Estate. Working with Falkirk Council, there are now new direction signs on the Foreshore. 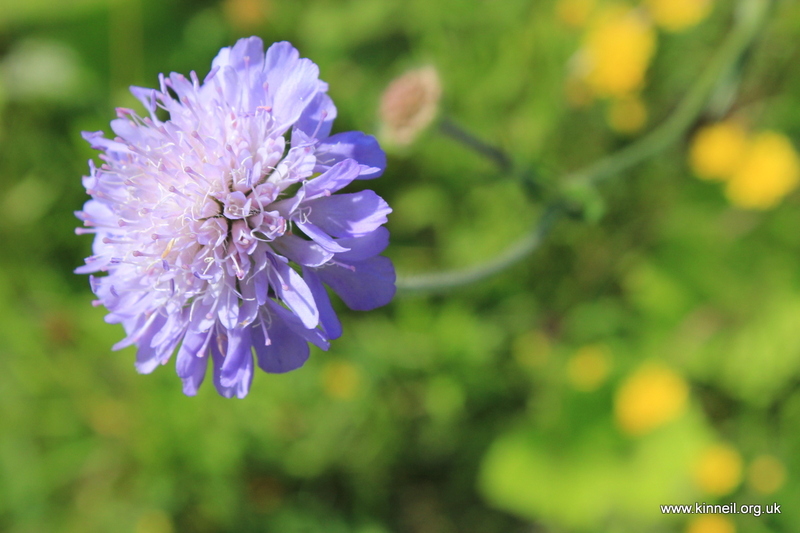 The Friends of Kinneil has also been planting wild flowers at the “Kinneil Halt”. 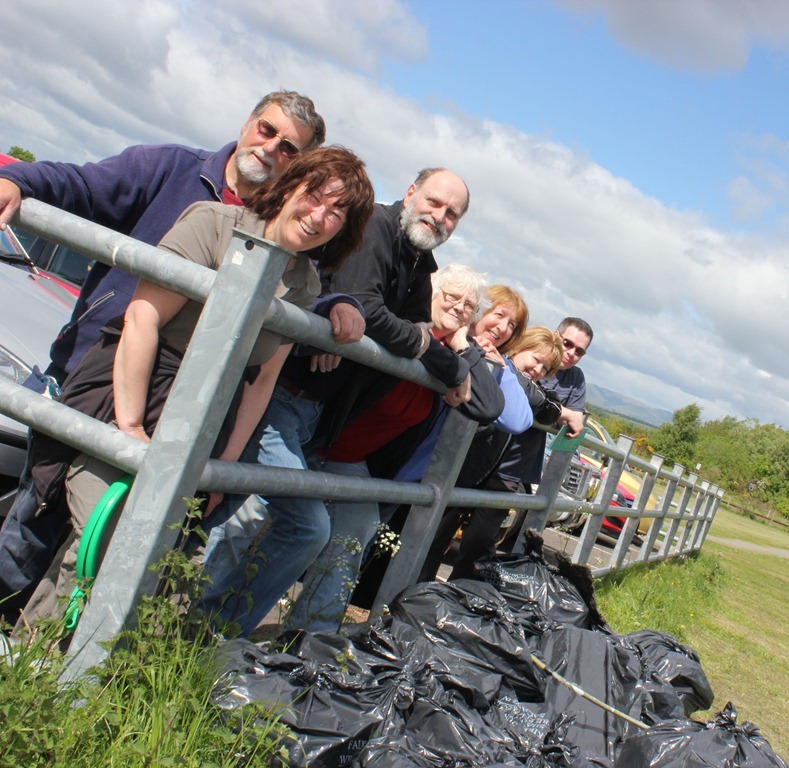 VOLUNTEERS from The Friends of Kinneil and Bo’ness Community Council made a clean sweep across Kinneil Foreshore on Saturday (May 14) and collected nearly 20 bags of rubbish. The residents were joined by Falkirk Council ranger Lesley Sweeney, who helped organise the community litter pick. The groups organised a similar clean-up in Kinneil Estate at the start of April.